Burial at sea is an ancient method of handling a body, and safely putting it to rest. Usually conducted from a ship, an ocean burial is done by ceremonially allowing a body or cremated remains to sink to the bottom of the ocean. Where did this fascinating, practical tradition come from? Are ocean burials still used today? Who can have a burial at sea? If you're interested in this nautical burial practice, read on! For as long as people have had the ability to sail, there have been burials at sea. Even before technology allowed our ancestors to move across water, bodies have been sent to sea as a means of practically removing them since ancient times. We now know that a body of one who died due to trauma or injury is unlikely to be a health risk to the living. However, infection and disease were rampant before modern medicine, and dead bodies in ancient times were considered highly dangerous. If a death occurred during a sea voyage, it was imperative to remove the body to avoid more death. Ocean burials were a practical way of handling potential risk to the crew. Seafarers came up with their own traditions, rituals and ceremonies for saying goodbye during ocean burials. 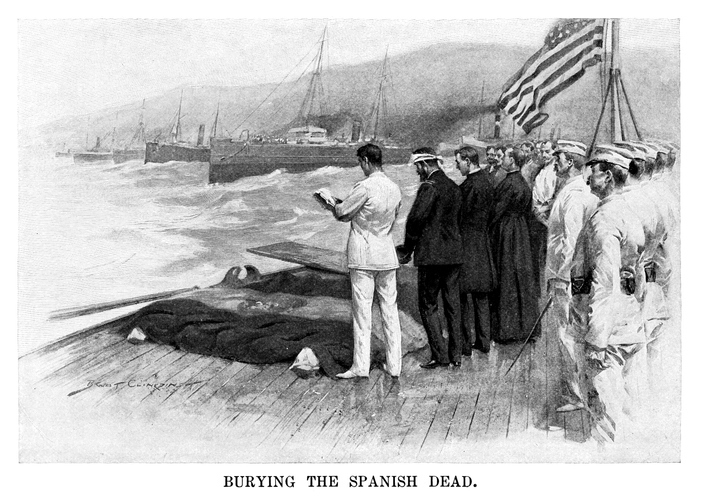 British seamen adopted the practice of using the ocean to lay bodies of fallen sailors to their grave, and created their own funeral rituals for doing so. This was a great departure from neighboring countries that were predominantly Catholic, as full casket burials are officially preferred to other kinds of burial. During a Naval burial at sea, the body of the deceased person is sewn into a shroud by a friend or fellow sailor, and weighted down so that it would sink. After a religious service (usually conducted by the deceased mariner's ship captain), a crew of sailors would tip the body into the ocean feet first. Burial at sea has been used across the globe throughout history by many cultures and civilizations to lay the dead to rest. Viking sea burials, however, are one of the most famous and interesting examples of this. In a Viking ship burial, the body is placed in a ship, along with their favorite possessions and traditional items of importance. Deviating from other ways of ocean burials, Viking ship burials were conducted from land, where the vessel was set on fire and pushed off into the sea to burn. The striking image of a ship burning at sea in the night is perhaps why many think of Viking ship burials when considering ocean burials. Who can be buried at sea? Navy sailors and mariners across the world are often buried at sea, but there is a misconception that only seaworthy folks can choose this as a burial option. In fact, it's possible for almost anyone to be buried at sea, so long as their regional laws and regulations permit. Anyone who has been cremated can have their ashes scattered in the ocean waters. However, there are usually restrictions to prevent mourners from scattering ashes too close to the coast. Many coastal funeral homes offer ocean scattering packages. You may also scatter ashes yourself, if you have access to a boat. Families may also opt to sink a biodegradable urn of ashes in the sea, rather than scattering. This method may be preferable in windy conditions. 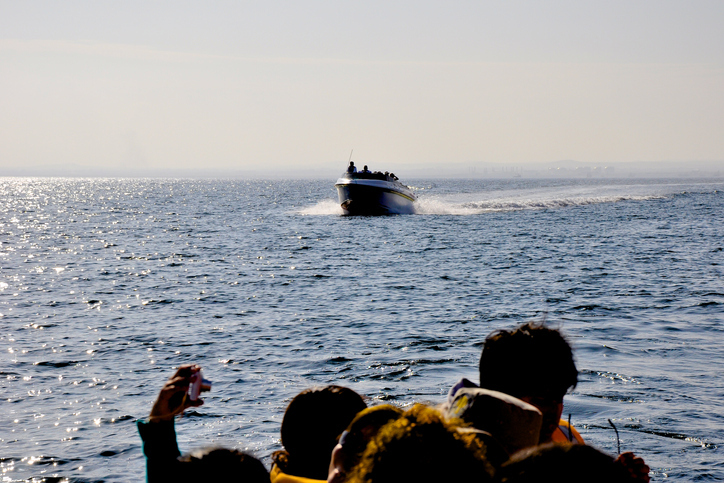 There are many private companies who can help mourners bury a loved one at sea. Full ocean burials can be done for as little as $4,000, but usually cost between $5,000 and $10,000. The length of the voyage, and number of family members attending may increase the cost, however. These costs cover the ocean burial, but do not include the costs of the funeral director, body transportation, death certificate, or tipping the crew. In a modern burial at sea, the body is either casketed or contained in a natural, biodegradable shroud. Burial at sea is an ancient funeral practice, with merits that carry forward to present day. Though it is typically a more expensive burial option, many people still choose this traditional kind of funeral ceremony. It is a meaningful way to say goodbye to a loved one, and to return them to the earth.